Mary C. Schwala, 81, of Wausau, died Thursday, April 4, 2019, at Mount View Care Center. Mary was born on April 13, 1937 in Marinette, WI, to the late Adolph and Georgina (McDowell) Schwala. Mary was very artistic and enjoyed painting as well as creating images with stained glass. She was well-read, really enjoying Eastern Philosophy. To relax, Mary would head out to the garden and tend to her flowers or sit inside and listen to classical music. 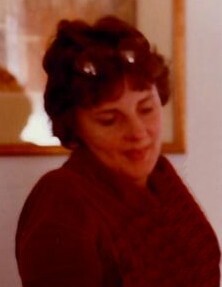 Mary is survived by her four children; Elizabeth Pavloski-Simonson, Butch Pavloski, and Thomas Paul (Eileen Vaughn) Pavloski, and Scott Pavloski; six grandchildren, Gwen, Alicia, Christopher, Mary, Jesse, and Kyle; eleven great-grandchildren; her sister, Ruth VanHaren; and niece and nephew, Tracy and Greg. Besides her parents, she was preceded in death by a daughter, Debra A. Hamilton.